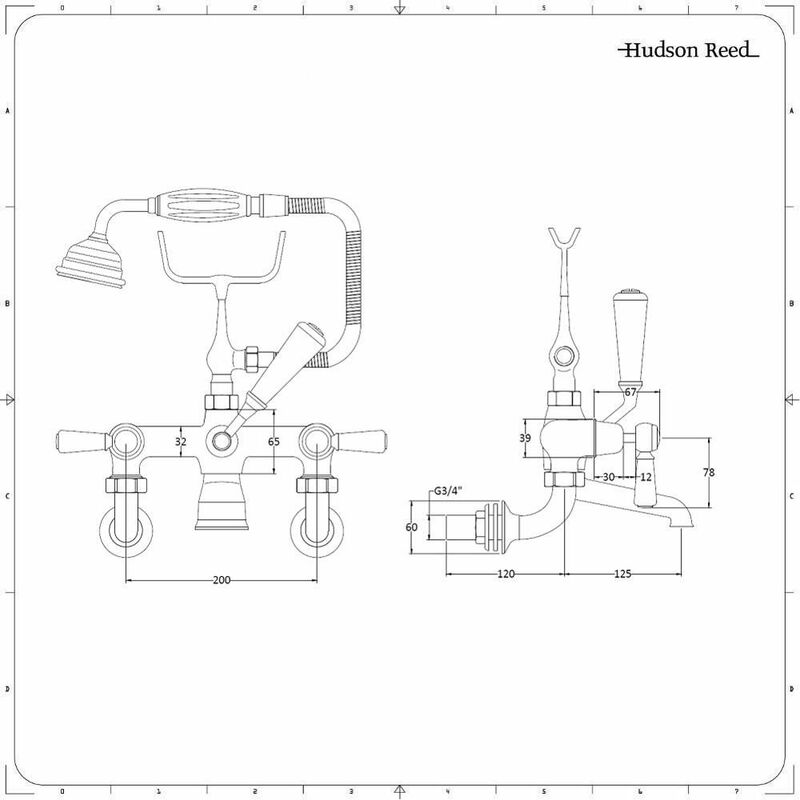 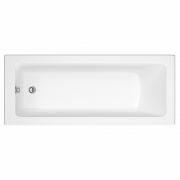 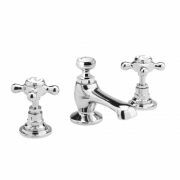 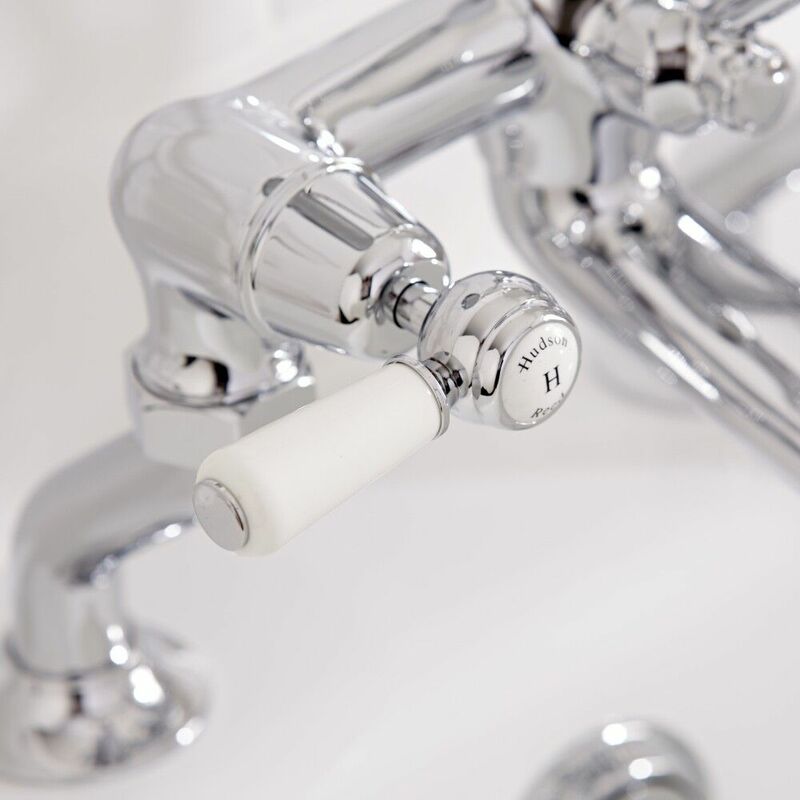 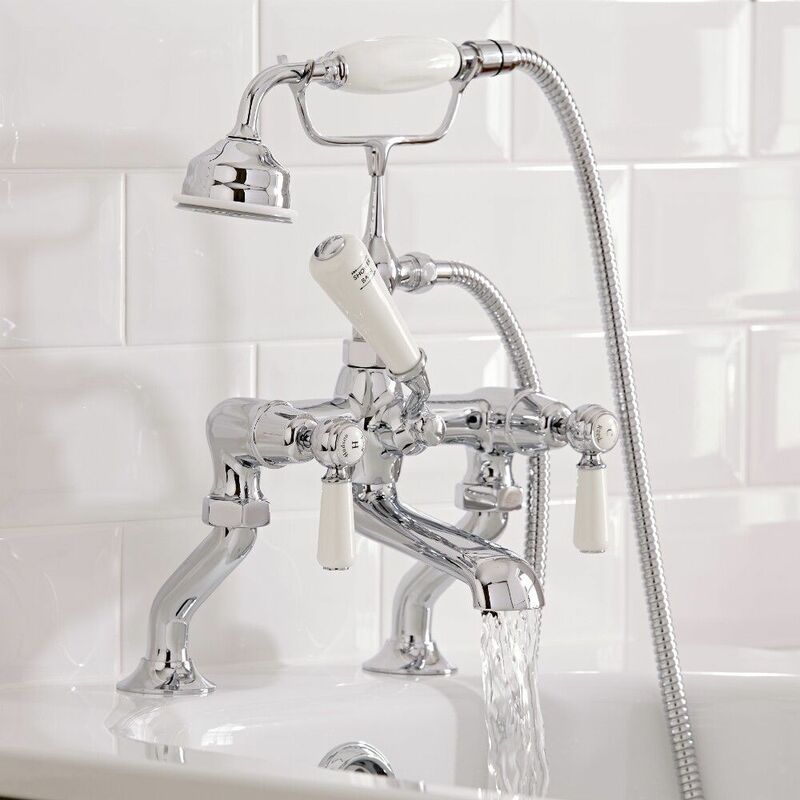 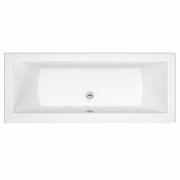 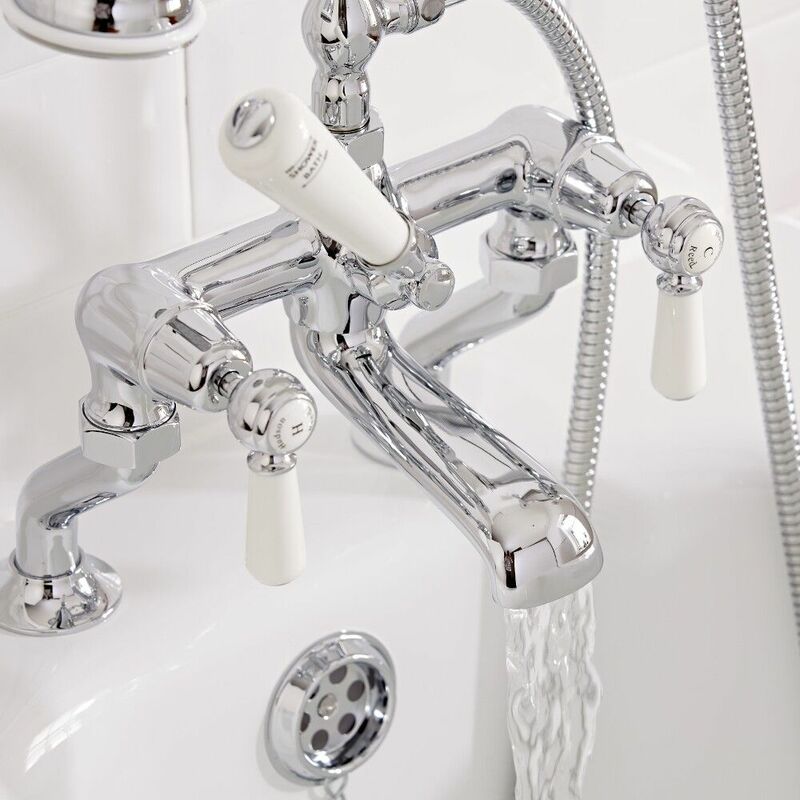 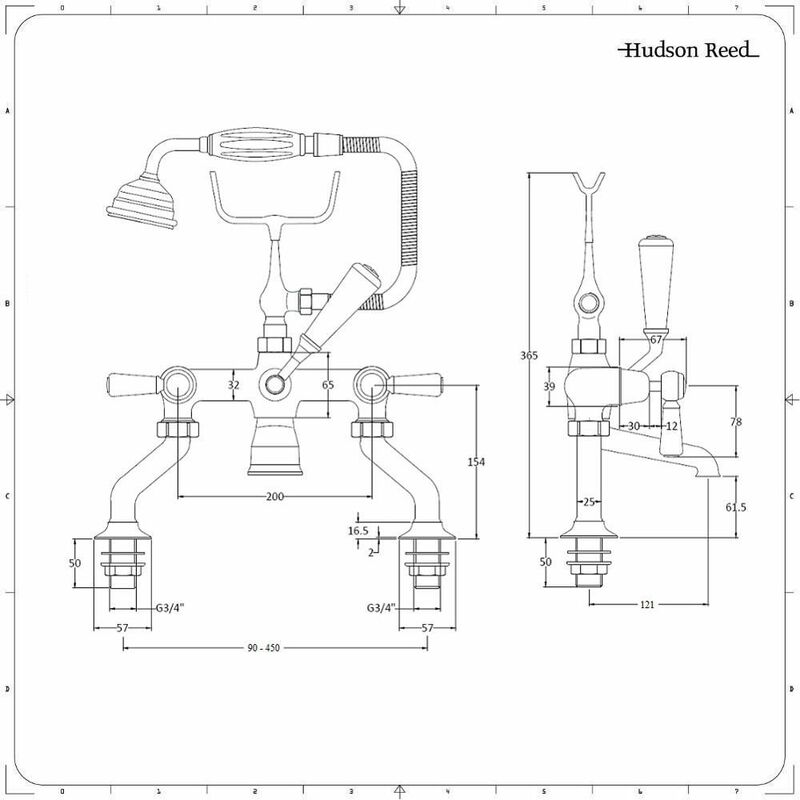 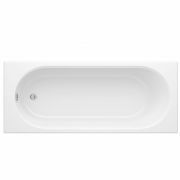 The Hudson Reed Topaz lever bath shower mixer tap is the perfect option for any traditional bathroom. 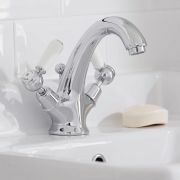 It features luxury ceramic lever handles and a brilliant chrome finish that blends in easily with any decor. 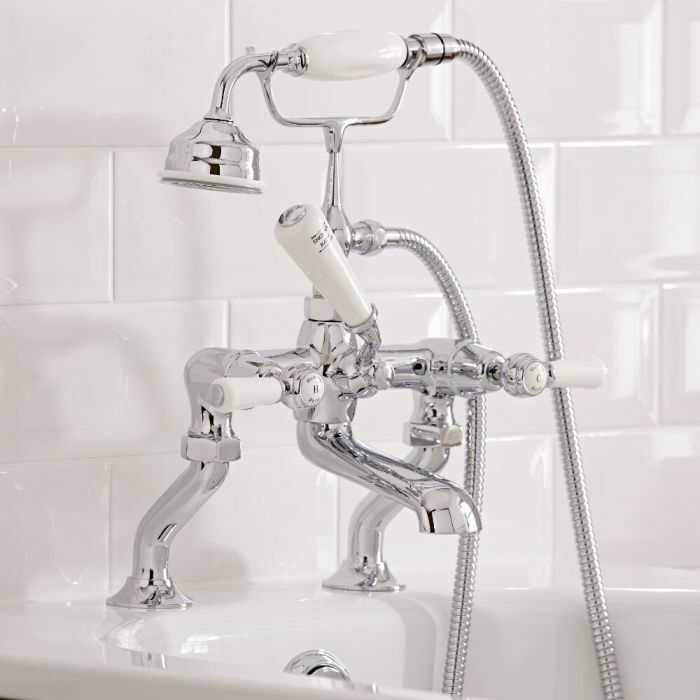 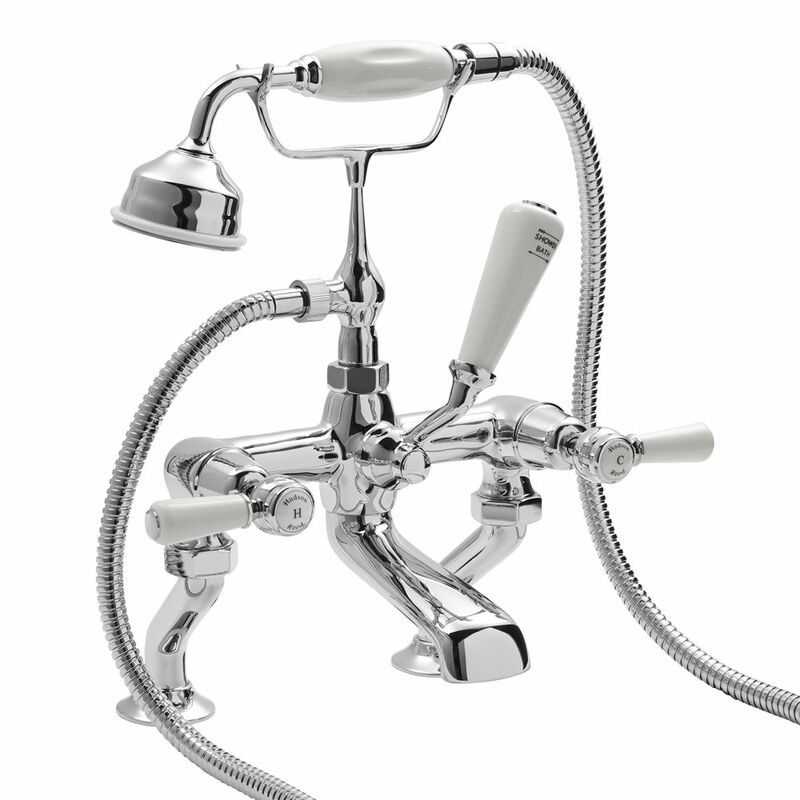 Supplied with the shower kit, this bath shower mixer tap has a solid brass construction. 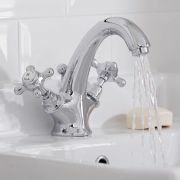 The tap will fit holes drilled from 90-450mm (centre to centre).